Hxouse will launch next month with backing from Twitter Canada. 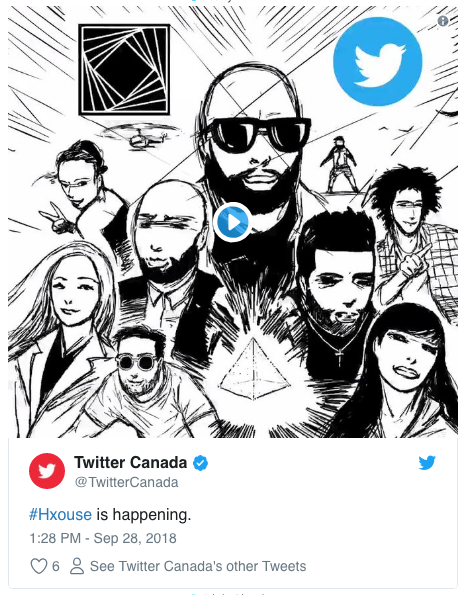 When Hxouse (pronounced House), the mentoring and incubator program for Toronto’s emerging artists, entrepreneurs and other innovators formed by The Weeknd’s creative director La Mar Taylor, launches next month, it will do so with the support of Twitter Canada. After all, it was on Twitter where the idea for Hxouse spread its wings. The ideation behind Hxouse dates back to Dec. 5, 2016, when Taylor issued a series of tweets addressing a creative problem in Toronto. He wrote that “our kids/Toronto need a place to build. I’m tired of seeing missed opportunities for creatives who didn’t have the tools.” Taylor then followed up with a pledge to “build a facility for all the young creatives in Toronto” by the time he hit 30, giving him four years to accomplish his goal. In under two years, he hit that goal. Taylor put that promise “out into the universe to hold himself accountable,” Hxouse co-founder Ahmed Ismail told Adweek. Ismail saw the original tweets and then quickly reached out to his long-time friend and fellow Toronto native to help. From there, it took off. The Toronto facility will open its doors on Nov. 6, admitting its first wave of students. The program will give students the chance to work on XO projects and other activations at Taylor’s branding agency, Hxouse Creative Studios, which will be located at the same site. Twitter comes into the equation by providing access to resources, strategic mentorship and opportunities for students to advance their careers. 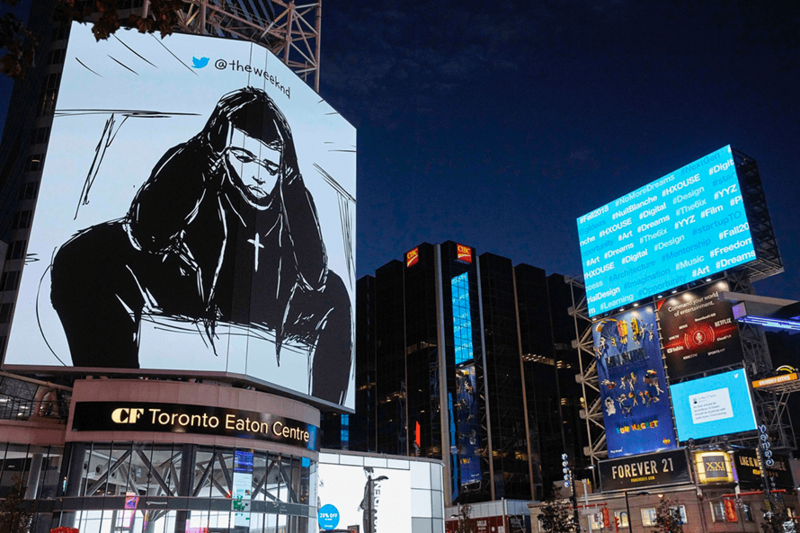 To announce the partnership, Twitter and Hxouse hosted an activation in Yonge-Dundas Square for Nuit Blanche last week, an annual arts festival in Toronto that brought 78 installations to the city this year. Hxouse’s activation illuminated the square with its animated video by JonJonAnimation, which included music from MyBestFriendJacob, to illustrate the journey Taylor and his fellow Toronto natives have been on to launch Hxouse since those initial tweets. Ismail said “in a million years” he would have “never” imagined that a few simple tweets could have such a profound impact. 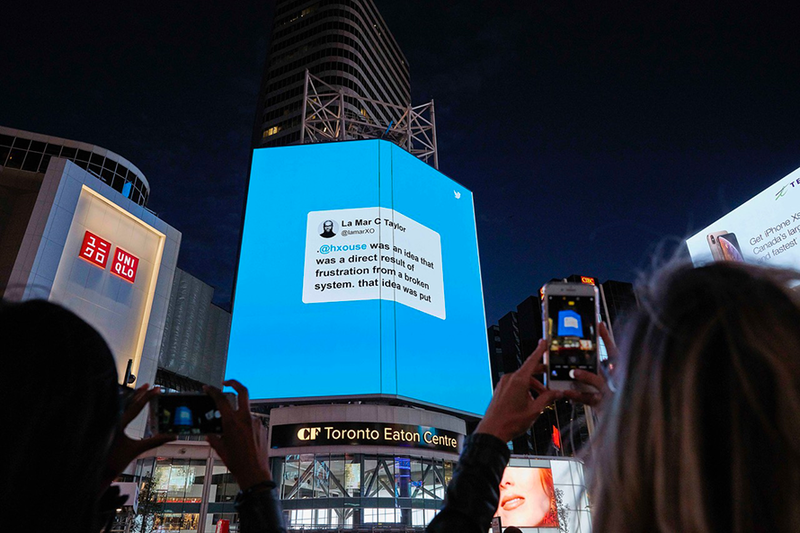 As part of the activation with Twitter, he said Hxouse also featured tweets in real time with the hashtags #HXOUSE and #nbTO18 (for Nuit Blanche) across digital billboards in the square. At one point during the event, the tweets were trending on Twitter second to #SNL. Hxouse received more than 1,000 applications from within “just a one-hour radius of Toronto” for the initial program, Ismail added, but it only admitted 140 for what he described as the “pilot project.” The group hopes to admit more as the program evolves in upcoming years, but Ismail pointed out that even those not accepted into the program can use the facility thanks to a partnership with Artscape Daniels Launchpad, a business and design hub located on Toronto’s waterfront that will house Hxouse. Inside the facility are a computer lab, sound and video recording units, editing booths and photography and electronics studios. The problem in Toronto, Ismail said, is that young creatives lack the access to mentorship and opportunities, and as a result, there’s “a huge exodus” of them “that leave the city every day.” He said Hxouse wants these creatives to stay in Toronto and still get the exposure they need to grow their careers. He said there are plans after the Toronto facility is in full swing to open others in international cities facing similar issues. Ismail declined to reveal more.